What is a good beginner board these days? 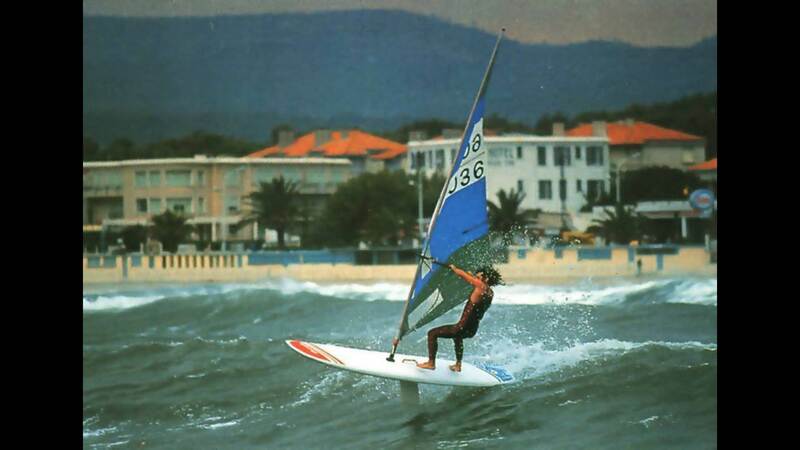 Hi folks, asking for a friend who wants to get back into windsurfing after a decade and buy a secondhand board. He used to be able to waterstart erratically and harness in but couldn't gybe. A huge amount depends on where they are, what they like, when they can do it etc. If you work 8-6, live in inner or western Sydney and love racing you will buy a very different board from someone who lives on the beach in Perth and is a full-time beach bum who wants to go looping. My 146 XCite Ride would suit an intermediate. The footstraps have multiple positions according to ability and the board is fast. Given how you have described your friend's ability, tell them to go with the 80cm+ wide "aircraft carrier" with a big fin. They'll always be able to sell it at a minimal loss because there's always people looking for this style of beginner/intermediate board. +1 to the two above. That's strange, when I got back into windsurfing a few years back I bought one of those ridiculous widearse Starboard things and after a short time I could plane, tack, gybe, go upwind, go down wind and even water start it. And it actually went pretty fast, I thought. If your 'friend' wants to progress quickly once getting back into it, it's not a bad place to start and a good stepping stone to the smaller modern wider thinner boards. If he'd prefer to relive the good old days then you can still buy a long skinny board from the 80's with a centreboard. I've still got my ridiculous widearse Starboard thing in the garage and still have a lot of fun sailing it on light wind days. Yes two of my mates I got into sailing . I think they are good for teaching . The only negative is in very light wind they drift sideways and it's harder for a learner to stay upwind. I now have a foam covered Formula board for teaching . It's 1 metre wide and slow but with its sharp rails points high upwind even in 3 kts . And spins on a dime tacking and jibing. In my opinion it's the best board for teaching the very basics . OK, thanks everyone, now how do I search the Seabreeze database for "ridiculous widearse Starboard"? At Windsurfing Tasmania we have a whole bundle of Starboard Rios and Starts. Over the years collectively we have taught dozens, if not hundreds, of people how to windsurf on them. It is extraodrinary how quickly a person can learn the basics on a Start or Rio compared to a 1980s board. Maybe not the best boards to learn carve gybing or going super fast, but an excellent platform to get people in the door. That's Fantastic , windsurfing must be healthy with large fleets in Tasmania . I don't believe you need to go as big as a SB Start or a Rio. 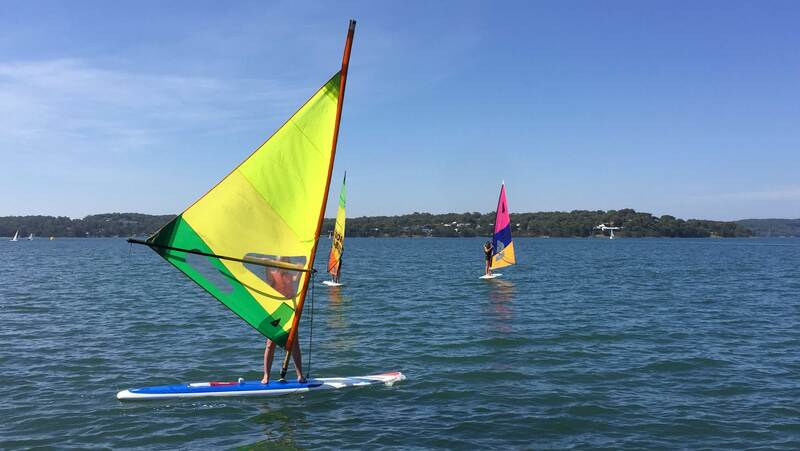 A large Starboard GO is quite suitable for a learner and has the added advantage of being able to be used as a light wind Freeride board once the learner progresses. I have owned a starboard go 2005 model since new. I've sailed for 40 years and for someone my size (110kg) I'd highly recommend it as a great board to use with 7m to 8.5m sail in 13 to 20 knots. Mainly ride a Windsurfer now but have had many years of fun on the go 170. Great to sail when a lot of others sitting on the shore waiting for wind. Not just for learners- good for a wide range of wind for a bigger sailer. I'd still recommend a Centreboard longboard like the Windsurfer for learning. Once you get going, the glide is good and you can always work your way back to where you started once the basics are learnt. A short wide board is a little difficult to get up to full on planing for a beginner and lose a lot of ground downwind in the process of learning and making errors. Slogging along is what you get when learning on a short wide board initially which means they never experience real glide and speed in early stages and get bored with it. Here's a cheap board to start with! If you are under 80kg you should have no problems whatsoever! Much less if you pick up a cheap second hand rig and add to board.